By buying this product you'll earn up to 408 Rewards points. 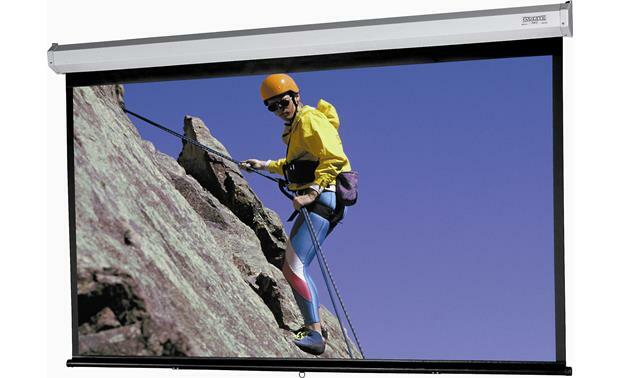 This 92" screen features Da-Lite's Video Spectra® surface. Its reflective coating provides increased brightness, while moderately reducing viewing angle. It's a great choice if your room has ambient lighting that's not fully controllable. Black borders framing the viewing area enhance the perceived brightness and colors of on-screen images. 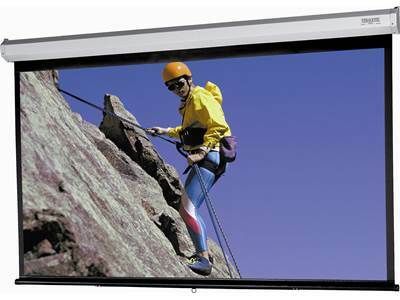 Overview: The Da-Lite Model C is a manual pull-down projection screen that is ideal for use in a large conference room or training room. It is equipped with the Video Spectra 1.5 screen fabric. It has a powder-coated white, 21-gauge octagonal steel case. Permanently lubricated steel ball bearings, combined with nylon bushings and a heavy-duty spring assembly give you smooth, dependable operation. Viewing Area: The screen has a 92" (diagonal) viewing area with a 16:9 aspect ratio, perfect for viewing your HDTV programs and movies. The viewing area is 45" high and 80" wide. Screen Surface: The Video Spectra 1.5 screen surface has a reflective coating which provides an increased amount of brightness. 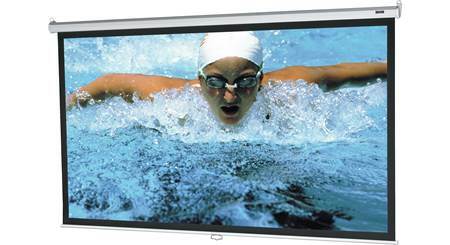 The 1.5 gain of the material makes it suitable for environments where ambient light is uncontrollable, and is ideal for use with projectors with moderate light output. It has a viewing angle of +/- 35° from center. The screen surface is washable, flame retardant and mildew resistant. Get a manual screen with Controlled Screen Return for quiet, controlled screen retracting. 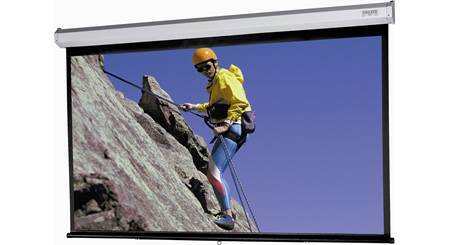 Searches related to the Da-Lite 84745 Model C 92" manual pull-down projector screen.